Neue Schule Ltd – Sponsor of the programme printing. Neue Schule has an extensive range of bits for all types of horse and pony and also offers a bitting advice service to ensure you get the right bit selection for your horse or pony. Vale Brothers – Provider of a fantastic selection of tombola gifts for the conference day. Vale Brothers was established in 1786 and has been manufacturing brushes ever since. Over the years they have acquired whip, saddle and rug companies to add to their collection. Avansce is a Neue Schule Group company that has its roots in the advancement of technology for bits and bitting. BETA was formed in 1979 and has grown to be recognised and accepted as the official representative body for the equestrian manufacturing, wholesale and retail trade by Government and leading riding organisations. Dr Paula Sells author of "The Tack Room"
The SMS aims to ensure and achieve a high quality of workmanship through setting standards and overseeing the training of the membership’s workforce to give their customers a professional and quantified service. 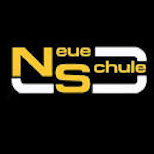 The Academy by Neue Schule provides online education for all. Our mission is to create a community of riders, trainers and officials of the regulatory bodies.